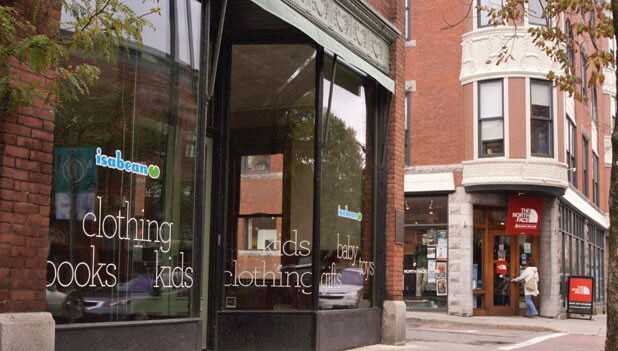 Isabean, a children’s boutique at 203 College Street, closed last Saturday after nearly five years in Burlington. Gone are pastel-colored toddler outfits, the menagerie of stuffed animals and the Vermont-made wooden toys that once brightened the downtown store. “We had a really hard year,” explained store manager Tracy Goodale, who’s worked at Isabean since it first opened in Williston nine years ago. Although many customers followed Isabean when it moved from the ’burbs to its downtown Burlington location, “sadly, it just wasn’t enough,” she said. Goodale blames the store’s demise on geography. Despite its location a block from Church Street, she described the pedestrian traffic on her section of College Street as “barren and desolate.” She suggested that most shoppers, including many longtime Burlingtonians, rarely venture off the marketplace to explore side-street businesses. report a similar phenomenon. Despite their proximity to the busiest and most successful retail district in Vermont, many say their businesses suffer from a lack of visibility. Will Vinci, owner of the North Face store at 210 College Street, said the old adage about “location, location, location” holds true for retail — and in Burlington, the location is Church Street. But he thinks the city could do more to support downtown retailers east and west of the city’s main commercial corridor. Vinci said he’s been urging the city and the Church Street Marketplace Commission for 10 years to allow him to put up sandwichboard signs along the pedestrian mall. Vinci says the North Face store in Boulder, Colo. — two blocks away from Pearl Street, Boulder’s pedestrian mall — does “a record amount of business,” which he attributes to signs that direct shoppers off the main drag to the outlet. He’s been asking Burlington to do the same since Peter Clavelle was mayor, but to date, has gotten nowhere. Vinci’s last try was in advance of a June meeting of the marketplace commission. He petitioned the group for permission to place signs on College and Church streets during business hours. The marketplace commission rejected the idea. Why? Ron Redmond, executive director of the Church Street Marketplace, said the nine-member board didn’t like the idea of directing people off the marketplace. In addition to the highest retail rents in Vermont, Church Street merchants also pay monthly dues — which totaled $607,500 in 2012 — to cover the cost of maintenance, advertising, special events and promotions. Side-street merchants don’t pay any of those fees. “I do like having that privilege and I do pay for that privilege. Am I willing to share it? I don’t know,” said David Glickman, owner of the Vermont Butcher Block & Board Company, at 63 Church Street. Glickman moved his store from College to Church just over a year ago, and saw his sales double almost immediately. He pays $334 in marketplace dues every month. Marc Sherman of Outdoor Gear Exchange tells a similar story. For the eight years that his store was on Cherry Street, Sherman tried various “creative solutions” to boost foot traffic, including renting an annex shop on Church Street during the holiday shopping season. “There’s no question we get a ton more foot traffic on Church Street than on Cherry,” said Sherman, who moved the Outdoor Gear Exchange in May 2011 to its present location at 37 Church. He isn’t sure how much of his increased business is due to the store’s prominent location or its larger size. At more than 20,000 square feet, the Church Street store is three times larger than his previous space to be on Church Street, Sherman pays considerably more in rent as well as marketplace fees that, at $2.60 per square foot, exceed $3000 per month. For the most part, Church Street merchants aren’t opposed to helping side-street enterprises succeed, Heath Allen added. They simply want to find an equitable formula so businesses such as Vinci’s pay their fair share of the costs. “I do think it would create more of a community atmosphere if we weren’t so exclusive. I think we’d be more downtown-friendly,” Glickman said. Church Street is designated as a “business improvement district,” or BID, where property owners pay mandatory fees based on the square footage of their first-floor retail. Those dues are passed along to the merchants and cover additional marketplace services not paid for by taxpayers, including trash pickup, snow removal, graffiti cleanup and enhanced security. Redmond explained that a conversation has been “building steam” among property owners to expand the Church Street BID to cover the rest of downtown. An additional tax or fee on businesses within the district would pay for numerous improvements, including uniform signage, both for pedestrians and drivers, to guide visitors around downtown. New signage is also part of a larger discussion in the works through Plan BTV, the public-planning process launched this year to brainstorm ideas for Burlington’s future. “Everybody is on board for this expanded BID,” Redmond said. “But what’s it going to look like in the future? Who knows?” The Burlington Business Association is hosting a series of discussions about the BID process at the Courtyard Burlington Marriott Harbor on October 9 and 10. Will side-street businesses support a larger downtown BID? It’s tough to say. Leah Chiofaro Martin, owner of the women’s boutique Hydrangea Too— in Ecco’s old location on College Street — said she’s been at her current spot for seven and a half years. While she once considered moving to Church, Chiofaro Martin noted that smaller spaces aren’t often available on the marketplace. She has established herself in her current location and likes having her own parking space. And while she supports the idea of more signage, she’s not thrilled about the prospect of paying additional fees she may not recoup. Meanwhile, she hangs balloons outside her store to get people to notice it. Heather Beal, who owns the Clothing Line, which sells new and vintage clothes, jewelry, and gifts at 163 Cherry Street, has a similar view. She isn’t sure whether it would be worth it to pay for extra services enjoyed by Church Street merchants. Would Beal pay for signage on Church Street just to let shoppers know she’s down there?